Sydney, Sydney City: ... and shipping services.Computers and electronic equipment requiring specialised transportation.Valuable artworks and antiques ... for all your packing and shipping needs. Sydney, Lower North Shore: ... and shipping services.Computers and electronic equipment requiring specialised transportation.Valuable artworks and antiques ... for all your packing and shipping needs. Sydney, Eastern Suburbs: ... and shipping services.Computers and electronic equipment requiring specialised transportation.Valuable artworks and antiques ... for all your packing and shipping needs. Sydney, Northern Suburbs: ... and shipping services.Computers and electronic equipment requiring specialised transportation.Valuable artworks and antiques ... for all your packing and shipping needs. Sydney, Parramatta: ... and shipping services.Computers and electronic equipment requiring specialised transportation.Valuable artworks and antiques ... for all your packing and shipping needs. South Coast, Southern Highlands: ... and shipping services.Computers and electronic equipment requiring specialised transportation.Valuable artworks and antiques ... for all your packing and shipping needs. Regional NSW, Murray & Riverina: ... and shipping services.Computers and electronic equipment requiring specialised transportation.Valuable artworks and antiques ... for all your packing and shipping needs. Sydney, Liverpool /Fairfield: ... and shipping services.Computers and electronic equipment requiring specialised transportation.Valuable artworks and antiques ... for all your packing and shipping needs. Regional NSW, Central Tablelands: ... and shipping services.Computers and electronic equipment requiring specialised transportation.Valuable artworks and antiques ... for all your packing and shipping needs. 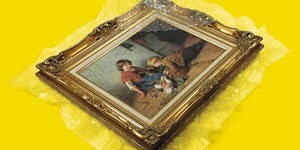 Brisbane, Eastern Suburbs: ... and shipping services.Computers and electronic equipment requiring specialised transportation.Valuable artworks and antiques ... for all your packing and shipping needs. Brisbane, Outer Northern Suburbs: ... and shipping services.Computers and electronic equipment requiring specialised transportation.Valuable artworks and antiques ... for all your packing and shipping needs.